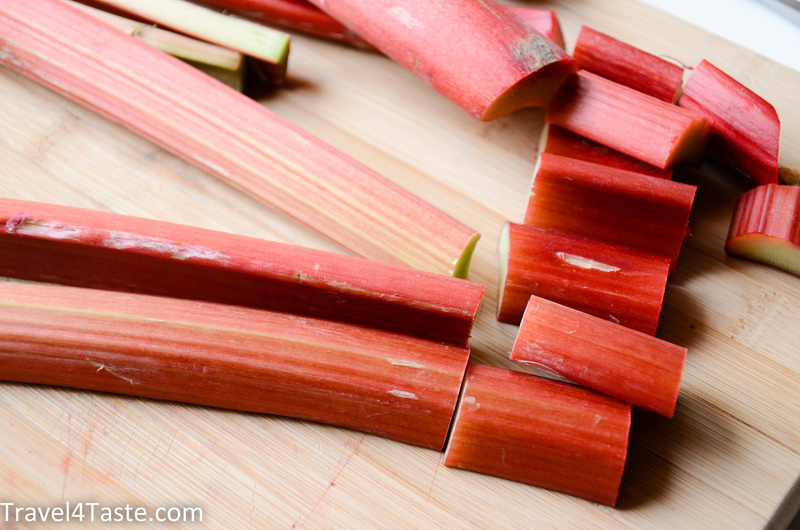 From my childhood I remember very well the super tall stalks of Rhubarb in the garden of my grandma. And their delicious acidulous taste! Perfect for summer days. Here I propose you a rhubarb tart with vanilla pudding & syrup. You should also try my rhubarb oatmeal crumble! 1. 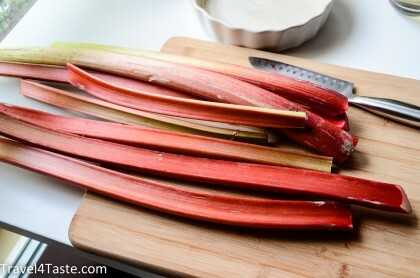 Slice the rhubarb into 4-5cm pieces. 2. 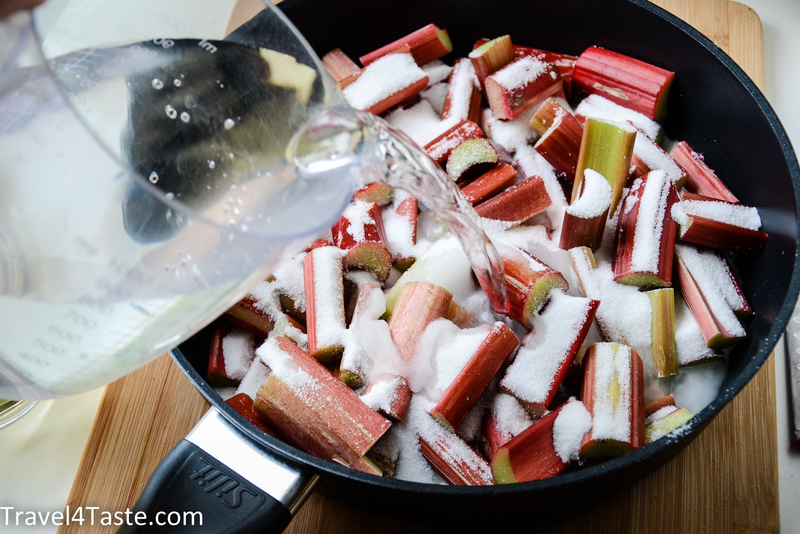 In a large and deep frying pan put sliced rhubarb with sugar, water & vinegar. The water should just cover the fruits. Bring it to a boil and keep cooking slowly for 5min. 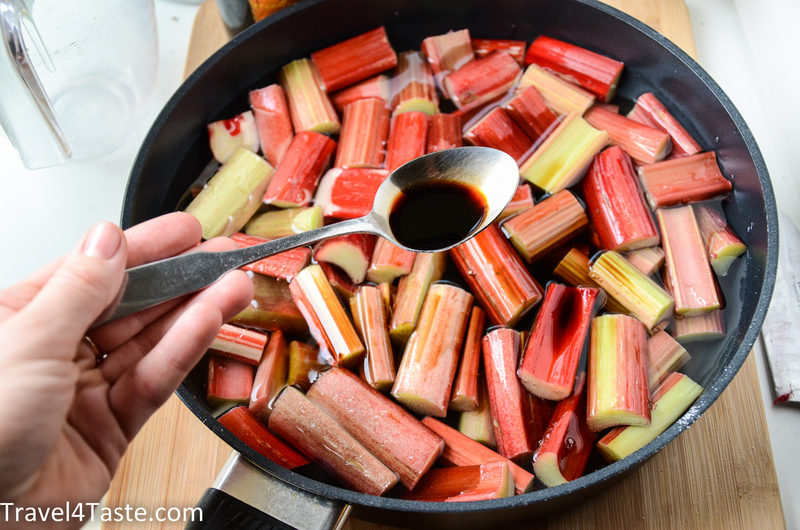 It is important that the water do not boil too strongly because the rhubarb will fall apart. 4. 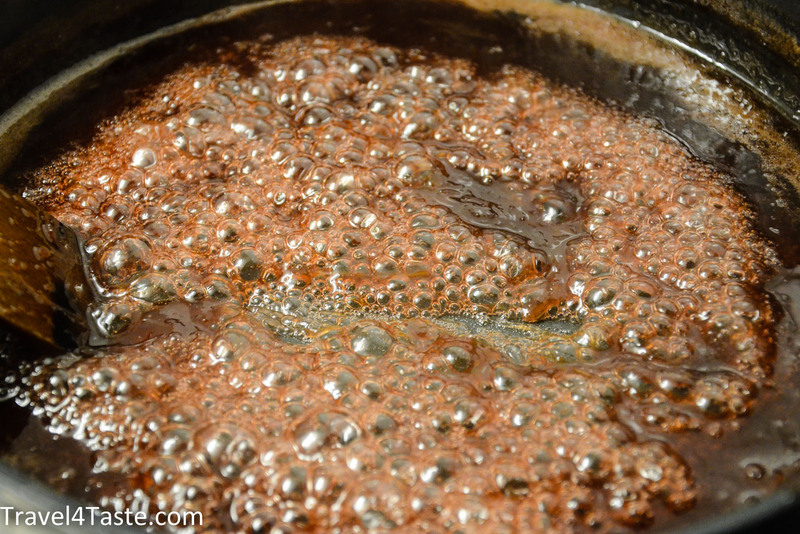 Keep the water boiling (now you can put it on a big fire so it goes quicker!) until the syrup is formed. It will evaporate lot of water and the big bubbles will start to appear- it means the sugar caramelises and the syrup is ready. (SUPER HOT! do NOT touch with your fingers!). 5. 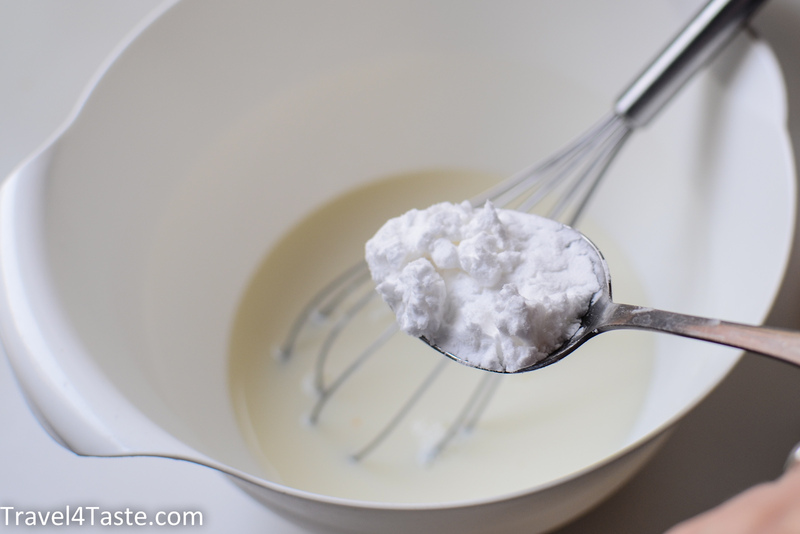 In the meantime prepare the shortcrust pastry. 6. While baking prepare the pudding. It is really easy. You just need to mix the cold milk with egg yellow, potato starch and vanilla sugar in a little saucepan. Then bring everything to the boil while stirring all the time. Thanks to the starch it will get thicker! 10. 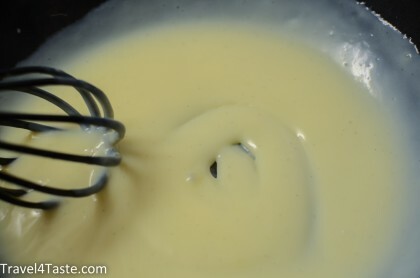 When the syrup is ready add a spoon of it to the pudding and let it cool down. 11. When everything is cooled down put the pudding on the tart dough. 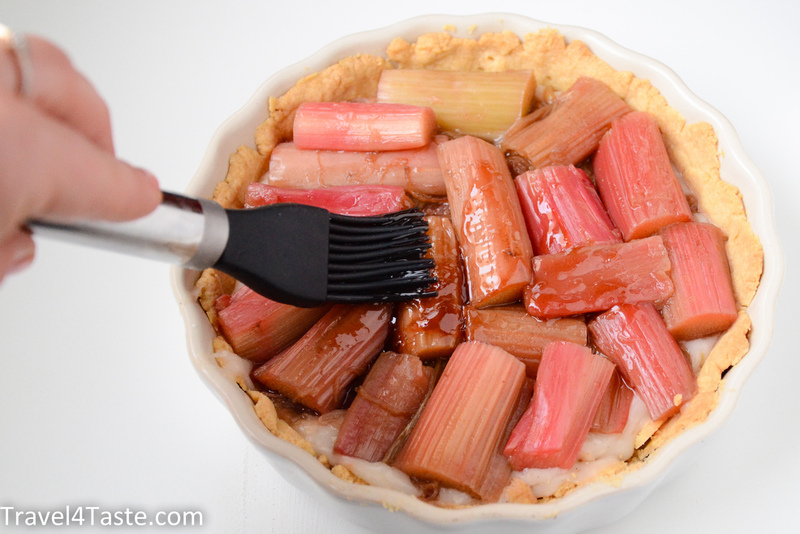 First add the over cooked rhubarb pieces (the one that fell apart). On the top decorate your tart with pretty pieces. 12. Heat up the syrup (when it is cold it is not liquid enough) and smear it on the fruits. 13. While serving I love to pour some left over syrup over my tart. This entry was posted in B-Day, Cake, Dessert, France, Fruits, Poland. Bookmark the permalink. I love rhubarb!! 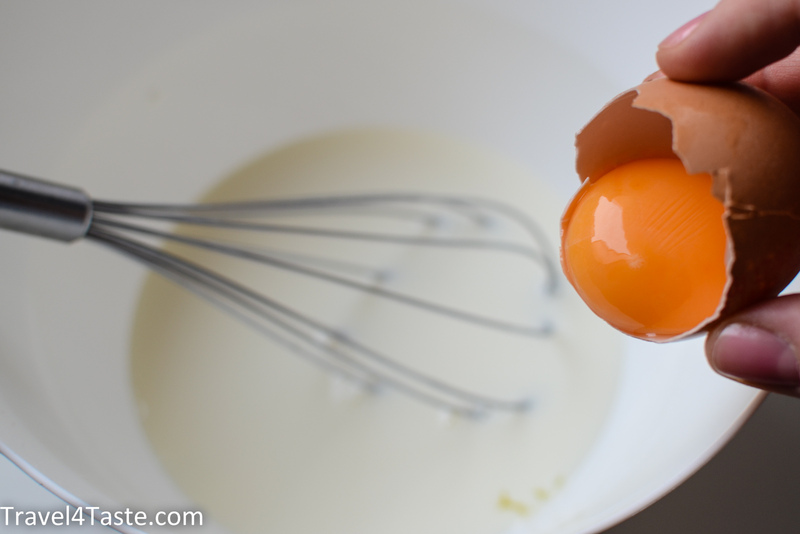 Here is difficult to find, so when I have, I always have to choose well the recipes I make. This looks really good, I’ll save it, next time I can try. This year, I could find some rhubarb, and we make crumble and cake, but with pudding and a shortcrust base sounds really good And the syrup… Wow!! Hey Paula! I also loooove the rhubarb crumble! 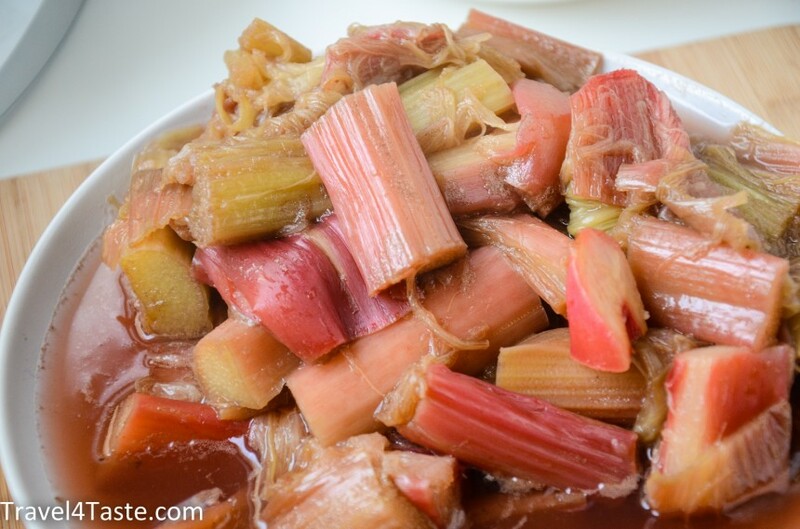 At first it was what I wanted to do (in Paris it is also very difficult to get rhubarb!) 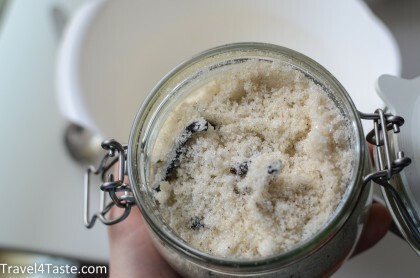 but in the end a friend convinced me to try this recipe. It worked out really nice. 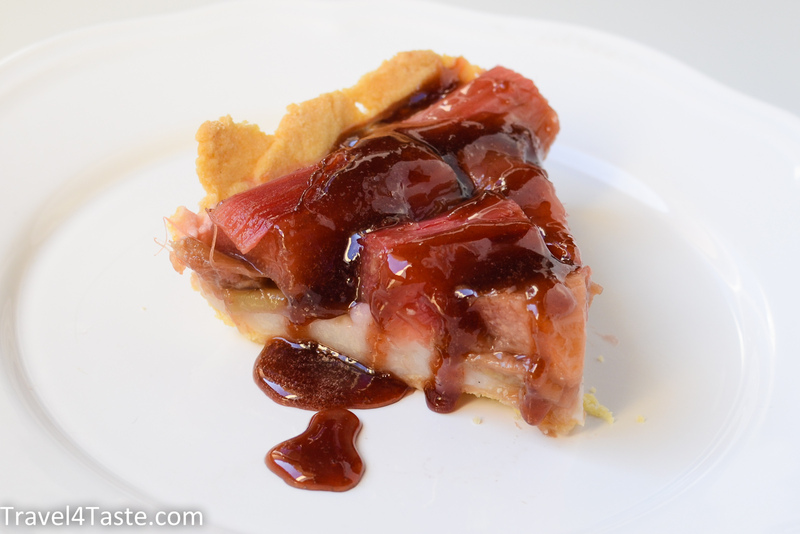 The pudding protects the shortcrust base and it stays crispy.